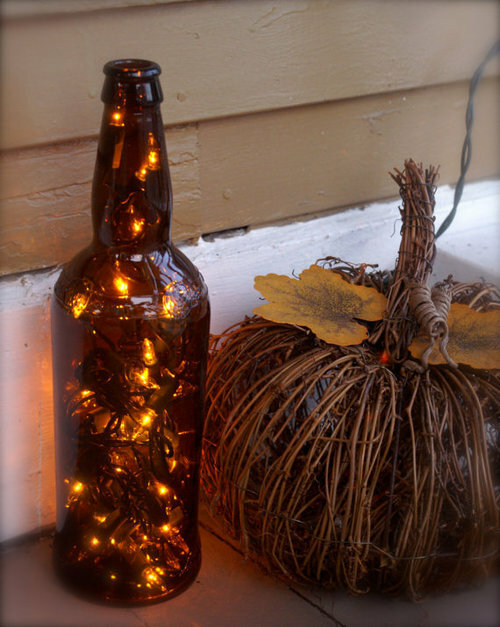 I love the glittered pumpkins and the lights inside bottles which would be great all holiday season long. I'm not sure what I'm doing for Halloween yet. Such a great Halloween post! These photos are so great! 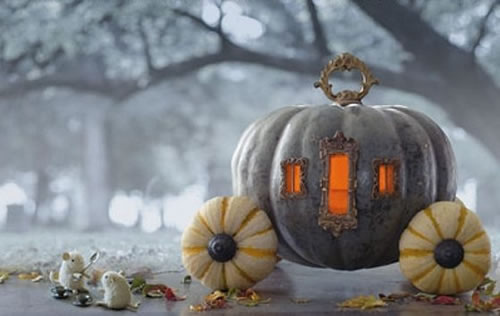 I LOVE the pumpkin carriage :) I'm dressing as Cinderella this year, so it's perfect :) I love your Halloween plans too, have fun! Everything looks so delicious and beautiful... those cookies! Love them! 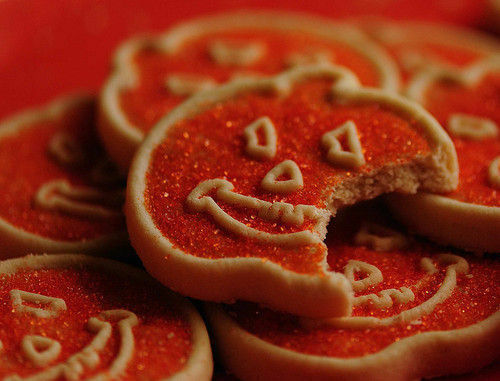 Those cookies are SO cute. all photos are really great! Wow the first picture is incredible and so pretty. 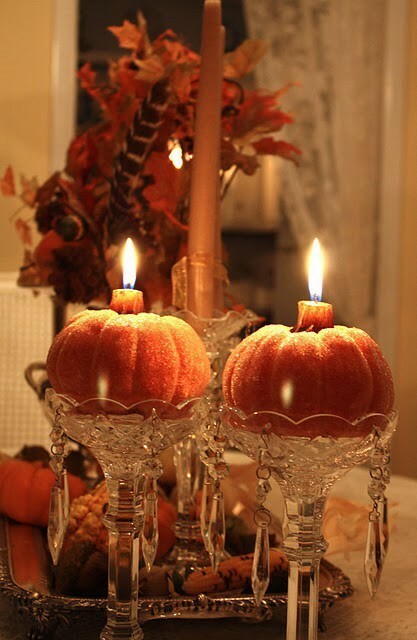 I love those pumpkin candles too. oh wow i totally love this post <3 it's so inspiring! Nice Blog! I really enjoy it!! I love all the creative pumpkin decorating I've seen this year--that "tree" is amazing! It's sad that I've done NOTHING to prepare for Halloween yet! Oh, what a cute and colorful selection. I love all of the pumpkins! ESPECIALLY the glitter ones in the first picture! Awesome inspiring post! 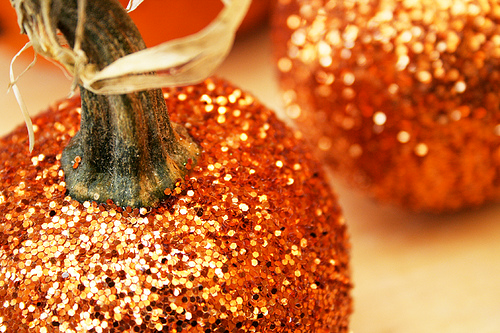 Love those sparkly pumpkins! Really love this one! 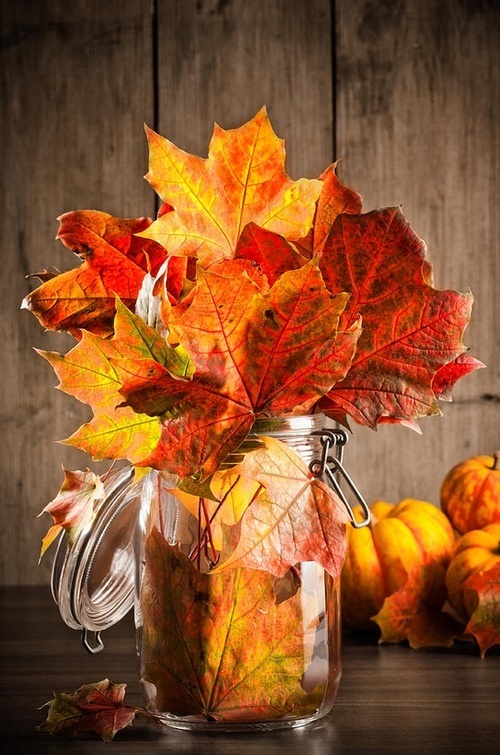 The leaves out of the jar is incredible. I want to do that. Love the post! Those glitter pumpkins are too cute. My friend is hosting a costume party this year (the boy and I are going as Will and Kate wedding-style! ), and I've been charged with baking a few treats to bring. Going to be a blast! This is so so good, I love looking through your blog. I will do nothing because here in Greece our Halloween is on February so i haven't give it a thought yet. Oh my goodness, so much cuteness! 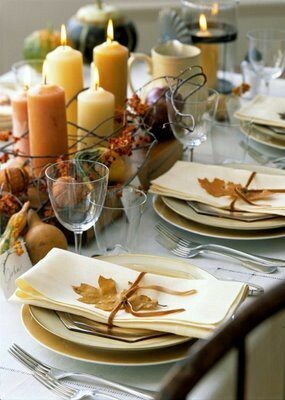 I especially love the glittery pumpkins! 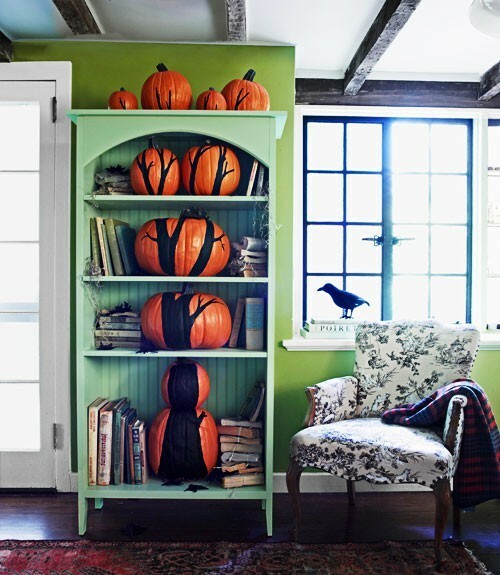 ABsolutely love that last image with all the pumpkins painted to look like a tree! Fantastic! also, thank you for your sweet comment on my blog! um yesspleasee... this was so wonderful and inspirational! It´s perfect the way you choose to express yourself here. I love all these images! Very inspiring post to get up and out in search of Halloweeny things. Sounds like you have some fun plans! Love the glitter sparkle pumpkins! 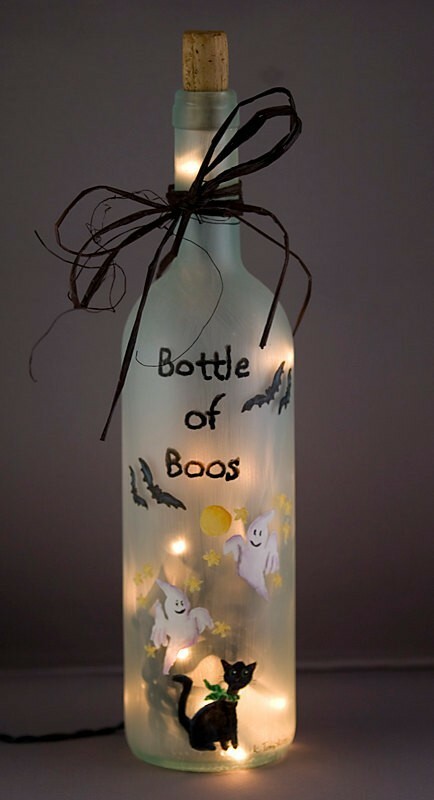 Seeing all the pumpkins and Halloween ideas on Pinterest makes me wish Australia celebrated Halloween. We're missing out on all the fun! These photos are beautiful. 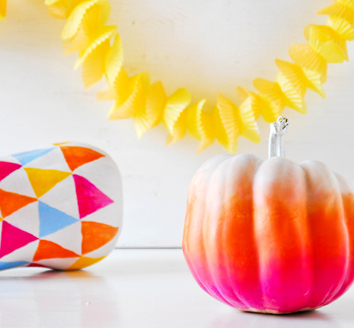 I love the idea of the glittery pumpkin. These photos are very full of fall. I can feel it looking at these. I love Halloween. We go all out decorating, and add a little more every year. It is an addiction. I love the pumpkin tree growing through the bookcase. I adore the sequin pumpkin. ADORE.